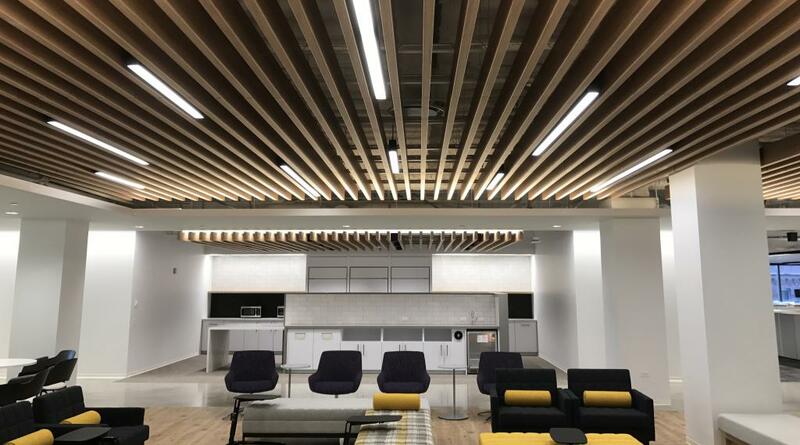 General Growth Properties Buildout | Performance Contracting Inc.
GGP – General Growth Properties was a 75,000 square-foot interior buildout that we did for Skender Construction. GGP owns 125 retail properties in 40 different states totaling 121 million square feet of retail space throughout the nation, with the majority of these properties being malls. 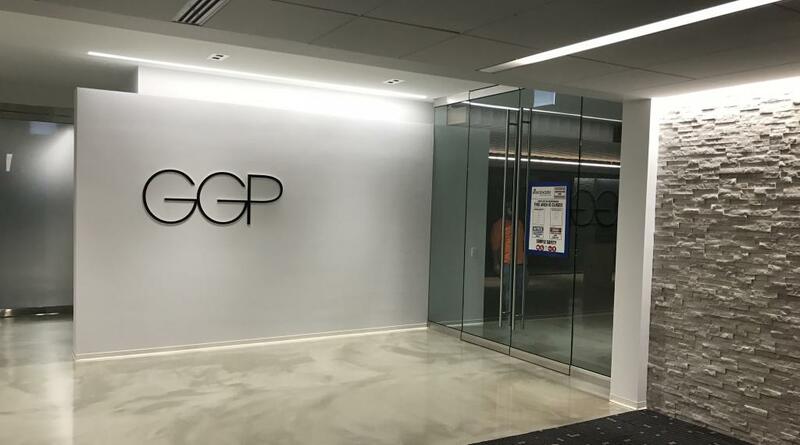 GGP owned a five-story, older building in the heart of the Chicago Loop where they had their headquarters for decades. With jobs like 150 Riverside and 444 W. Lake Street popping up on either side of their property, they decided to sell the building that they were in for years and move their headquarters to the Apparel Mart (sister building to the Merchandise Mart). GGP was a large and extremely complex project with a lot of high end and expensive materials. 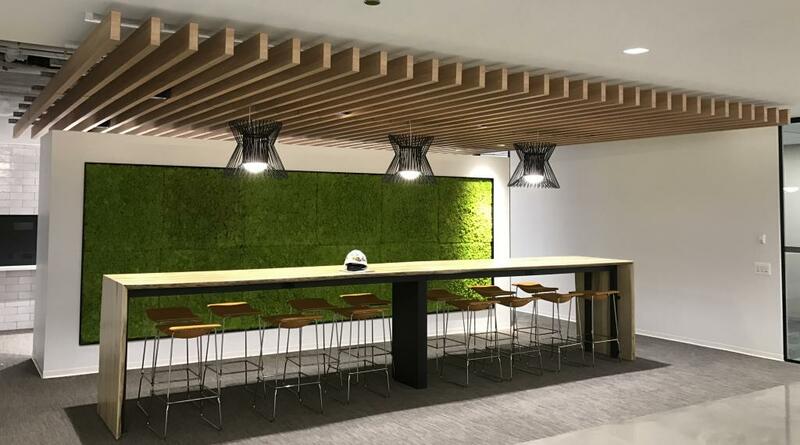 The main feature throughout the space was the Ceiling Plus Baffle Ceiling System. 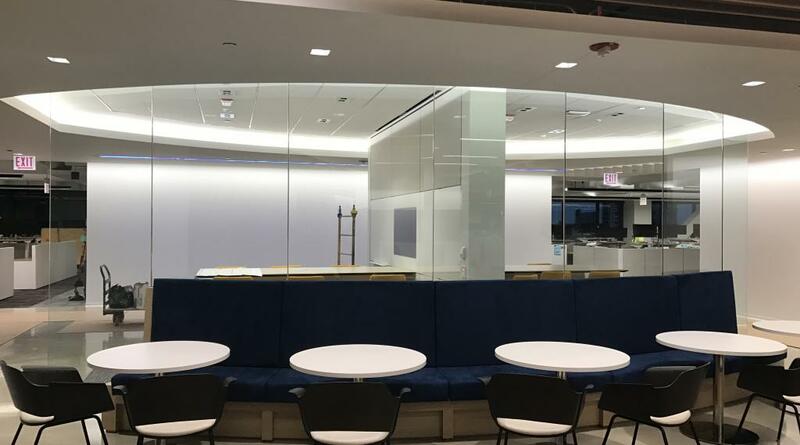 This product had a 12-15 week lead time and we had 16 weeks to build the entire job. Knowing this in preconstruction, we did our best to stay on top of the order and we eventually received the material on time and installed the ceiling before the move in date. 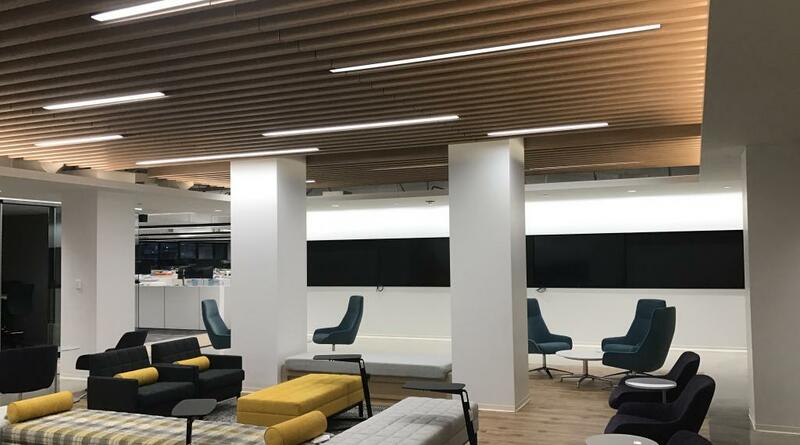 Outside of the ceiling chaos, there were features such as Ardex Flooring and K-13 Spray Ceilings which made the space very difficult to build since those installations take up a lot of floor space on site and burn up a lot of cherished time on the schedule. When all was said and done, GGP and Skender were both very happy with the end result and our performance. The job turned out fantastic and it was very challenging which made it extra special when we were 100% complete. Square footage of ACT Ceilings: 25,256 sf and/or 3,157 pcs of 2′ x 4′ tile.